On the evening of May 30th, 2014, three 12-year-old girls gathered for a sleepover in the small Milwaukee suburb of Waukesha. The next morning, authorities found two of the girls, Morgan Geyser and Anissa Weier, walking along the highway. They found the third girl in the nearby woods, fighting for her life after having been stabbed 19 times with a large kitchen knife. As the retreating pair would later confess to authorities, the attack was an act of ritual sacrifice. They intended to murder their classmate in the name of "the Slender Man." "I wanted proof that he existed," Weier told investigators. "I was afraid of what would happen if I didn't... I didn't want to find out what would happen if we didn't." She also said that she knew that if she didn’t follow through with the attack, Slender Man would "kill [her] whole family in three seconds." Like Bigfoot, the Loch Ness monster, or the chupacabra, the Slender Man is total fiction, an internet meme blurred by curious minds into something resembling reality. It stands apart from those legendary creatures thanks to a traceable origin: While most monster lore takes hundreds of years to evolve, the being that drove two young girls to attempt murder was born in a matter of weeks, incubated in well-lit expanses of the internet. Today the Slender Man thrives across multiple mediums and, with a now-streaming HBO documentary on the subject, along with percolating big-screen prospects, has become a prized possession of Hollywood. Still, despite having infinite information at our fingertips (and skepticism to match), few know the chilling story that brought us to this moment. This is how the Slender Man evolved from modern myth to a legitimate terror. On June 8th, 2009, a user on the internet culture forum Something Awful started a thread with an implicit challenge: "Create Paranormal Images." 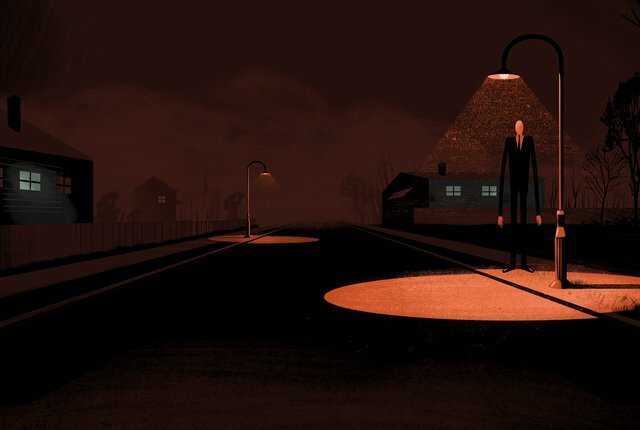 Two days later, fellow forum-dweller Eric Knudsen, posting under his alias "Victor Surge," created the first snapshot of the Slender Man: a faceless, wire-thin, suit-wearing man -- like Tim Burton's take on Rene Magritte's The Son of Man. In an interview Knudsen would give in 2011, he described the influences that led him to the now-iconic design: Zack Parsons's serialized story "That Insidious Beast," the Stephen King short story "The Mist," "The Rake," another monstrous creation devised on Something Awful threads, the paranormal reports of "shadow people," Mothman, and the Mad Gasser of Mattoon. "I used these to formulate something whose motivations can barely be comprehended and causes general unease and terror in a general population," Knudsen explained. 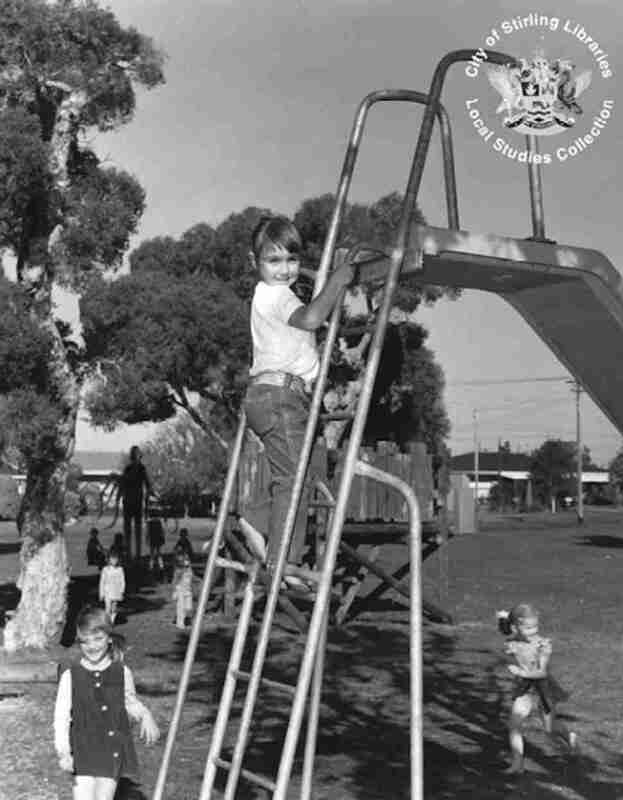 The captions for Knudsen's first pair of Slender Man images, which he claimed only took 15 minutes to create, provided little backstory and loads of intrigue. "we didn't want to go, we didn't want to kill them, but its persistent silence and outstretched arms horrified and comforted us at the same time…" - 1983, photographer unknown, presumed dead. Two days later, another Something Awful user, LeechCode5, uploaded two images of Slender Man inspired by the original post. The captions pegged the creature as a predator of human children. 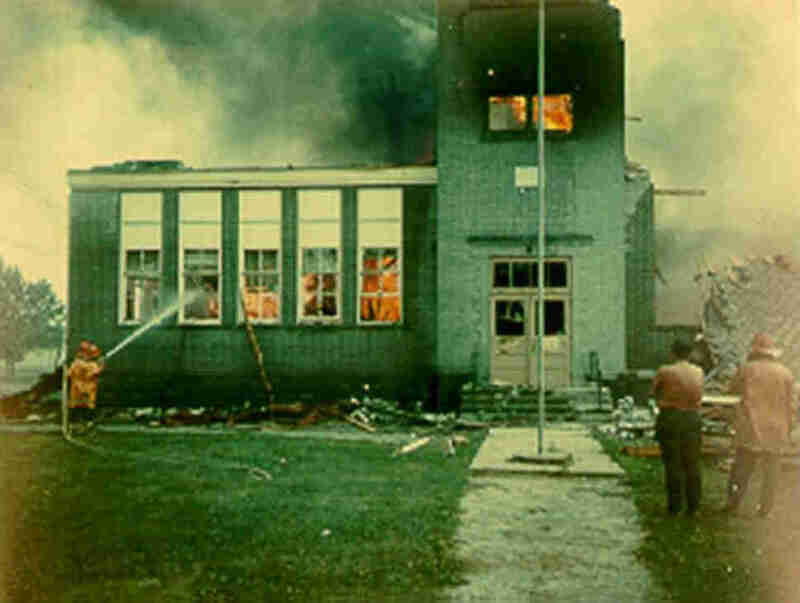 "Photo is of an elementary school fire in 1978. No official cause was ever found. Seven students and a teacher became trapped and died before firefighters could respond. Many of the students and teachers from the time have a history of anxiety disorders and panic attacks, even those who weren't at the school on that day. At least one has since committed suicide, and several others legally changed their names once they reached adulthood and have disappeared." 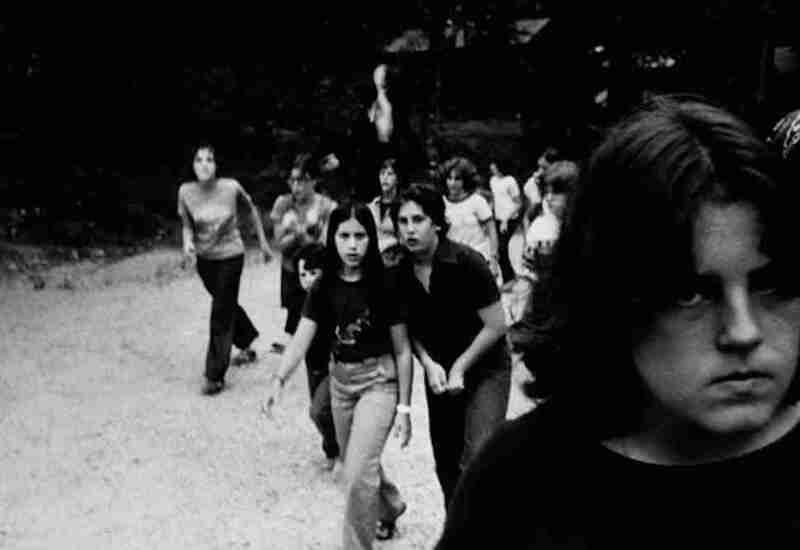 Hearing the cries of a rabid audience, Knudsen produced additional Slender Man photos. A photo dubbed "Steinman Woods" would establish the creature’s presence in the woods, and a timeless instinct for malice. 2007: Investigation team discovered twenty-two bodies of both genders and various ages impaled on broken tree branches in a radiating circle pattern with chest mutilation as often noted with Slender Man. Upon confirmation, lead investigator ********* called for an immediate evacuation of investigation team at 1700 hours. Bodies first discovered at 1100 hours. Deadline for safe evacuation of team with only viewed physical evidence of Slender Man approximately 1730. Lost contact of team at 1725. Safety procedures fell well within established protocols. Reason for abnormality is unknown. Second team recovered camera equipment one week later. Slender Man safety procedures require this incident's physical photographic evidence to be disposed of by no later than 10/20. The Something Awful community latched onto Knudsen's photos. A user named "21st Century" imagined Slender Man as an ergodic novel in the vein of Mark Z. Danielewski's House of Leaves. User "TrenchMaul" linked it to an actual 1959 hiking accident in the Ural Mountains where nine people died (six of hypothermia, three of mysterious bodily trauma), earning "Slender Pass" a casual mention on the "Dyatlov Pass incident" Wikipedia page. The pile-on of manipulated images and faux-documentation eventually dissolved the Slender Man's ties to the Something Awful forums. Anyone who Googled for Slender Man "lore" would find offshoot sites and stray blogs, filled with connections and references in actual mythology. 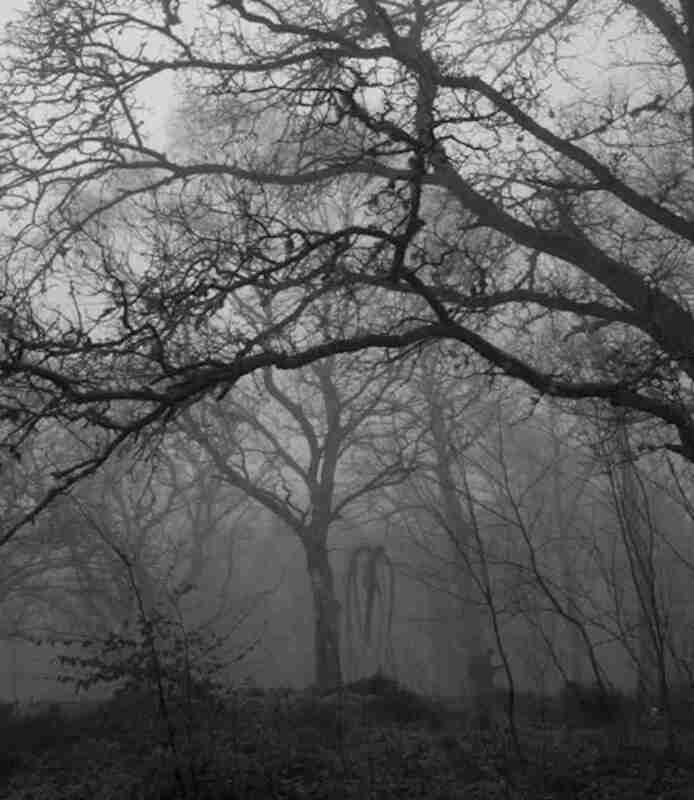 Many wondered if Germany’s 16th-century monster Der Großmann aka "The Great Man," a spindly creature rumored to stalk the deepest parts of the forest, was the actual Slender Man. Sure, why not? Knudsen had created a monster. "An urban legend requires an audience ignorant of the origin of the legend," he said in an interview. "It needs unverifiable third- and fourth-hand (or more) accounts to perpetuate the myth … internet memes are finicky things and by making something at the right place and time it can swell into an 'internet urban legend.'" The meme swelled. Just a month after Knudsen's first images, University of Alabama students Troy Wagner and Joseph DeLage launched Marble Hornets, a Blair Witch-like "found-footage" web series. Their antagonist: "The Operator," a dimensional version of Slender Man realized on a $500 budget. Pushing through copycats and a bevy of fan fiction, Wagner and DeLage produced 26 episodes of Marble Hornets through June 2014, earning enough of a cult following to sell the concept off for a movie (Always Watching: A Marble Hornets Story). Programmer Mark Hadley was one of the hooked. Inspired by Marble Hornets, and a streak of second-person YouTube videos of people playing horror video games, Hadley released Slender (later re-titled Slender: The Eight Pages), a first-person survival game where players wander through a forest in search of a Slender Man-themed manuscript. Stalking you as you search is the faceless being. Linger too long in one spot and he gets you. Find all eight pages and… he gets you. "The simple explanation is that there really is no story of the game," Hadley said in a 2012 interview. "I left out a lot of backstory with the intent of making a short horror experience rather than a full storyline. I think it's creepier to leave things up to the imagination of the players." "I am your mother," said the knocker, "and I told you it would be worse." And the door, locked tight before her father left, fell open as if it had been left ajar. And her mother stepped in, her sister's head clutched in one bloody hand, her father's in the other. "Because," said her mother, "there is no reward for goodness; there is no respite for faith; there is nothing but cold steel teeth and scourging fire for all of us. And it's coming for you now." And the tall man slid from the fire, and clenched Sorina in his burning embrace. And that was the end of her. The Slender Man of Marble Hornets and Slender: The Eight Pages portrays a being who stalks and attacks in service of spine-tingling mood. The Creepypasta stories, and adaptations launched at the crest of the phenomenon, leaned harder into the violence. The web series TribeTwelve gave credence to the idea of the "Slender Proxy," a human who serves Slender Man, either drawing victims to the monster's lair or killing/hunting on behalf of the creature. The concept was practical; Slender Man was a character best served when lurking in the shadows, but creators needed actors to actually appear on screen. The most popular of the Slender Proxies was "Ticci-Toby," created by DeviantArt user Kastoway. Already plagued by mental and physical disorders, Toby witnesses his sister's death at the age of 17 and goes completely over the edge. The voices in his head tell him to kill his father, which he does with a hatchet in front of his mother. The story ends with Toby lighting his neighborhood on fire to cover up his crime. Just before flames engulf him, Slender Man teleports the boy to safety. Ticci-Toby gained popularity in the Slenderverse, particularly among the Creepypasta fiction group. At first, Kastoway hoped to control his popular character, asking other Creepypasta writers not to "ship" (the fandom term for imagining relationships) Toby with other characters without his permission. The demand didn't stick; as described in posts, Ticci-Toby began falling in love with real people. Like Eric Knudsen before him, the creator found the enthusiasm for his creation taking on a life of its own. Mythology documentarians would add Ticci-Toby to "The Slender Man Connection Wiki" to track the character's exploits in May 2014. Twelve-year-olds Morgan Geyser and Anissa Weier inhabited the notion of the Slender Proxy, though their all-too-real victim, alive and well after crawling into the eyeline of a passing biker on that May morning, subverted the fiction. In June or July of 2017, each girl will stand trial, as an adult, for first-degree intentional homicide. Their lawyers argued for second-degree based on the basis of mental health (Geyser reportedly suffers from schizophrenia) and motivation. The Slender Man would hurt their friends and family if they didn't stab the girl. The Slenderverse rode an edge of realism to maximize scares, then teetered over the edge. Geyser and Weier claimed to have learned about Slender Man from the Creepypasta Wiki. Back on the internet, Kastoway lashed out at the Creepypasta fandom, which had taken to his DeviantArt page and the Ticci-Toby Wiki to revel in the real-life Proxy incident. "The amount of people who think that [Ticci-Toby's] real is absolutely obscene, and I can't bare [sic] to think that another incident similar to the Slenderman Stabbings is possible because of something I created for fun. Please do not let that happen and take this seriously. It's one thing to enjoy a horror story, it's another thing to get joy from thinking that fictional psychopaths are real and that you're able to interact with them." Since, Kastoway has effectively closed his DeviantArt page. All the posts, including the original Ticci-Toby story, have been removed. Knudsen, who thought up the creature that never came for the girls, gave a single statement, before following Kastoway into a media blackout: "I am deeply saddened by the tragedy in Wisconsin and my heart goes out to the families of those affected by this terrible act." Knudsen's DeviantArt page still says Slender Man is under copyright and any future for-profit projects featuring the character require his permission. The mania surrounding the internet’s most notorious urban legend grew at an exponential rate fit for the Information Age, and a recklessness that predicted today's Post-Information Age. The Slender Man is not Bigfoot -- the fiction was apparent from the beginning, or was to anyone looking to keep the line between fact and fantasy drawn clearly in the sand. Many don't. 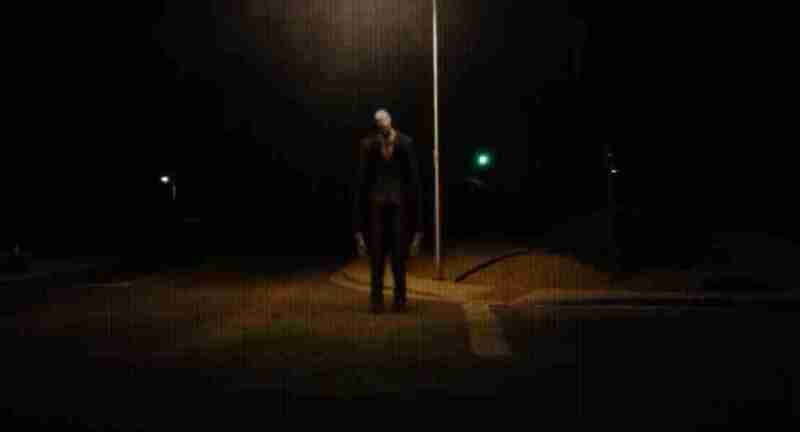 Slender Man continues to thrive on Creepypastas and internet fiction forums. Moderators shut down comment sections and wiki pages that drive the Slenderverse away from reality, but their authority ends where their websites do. 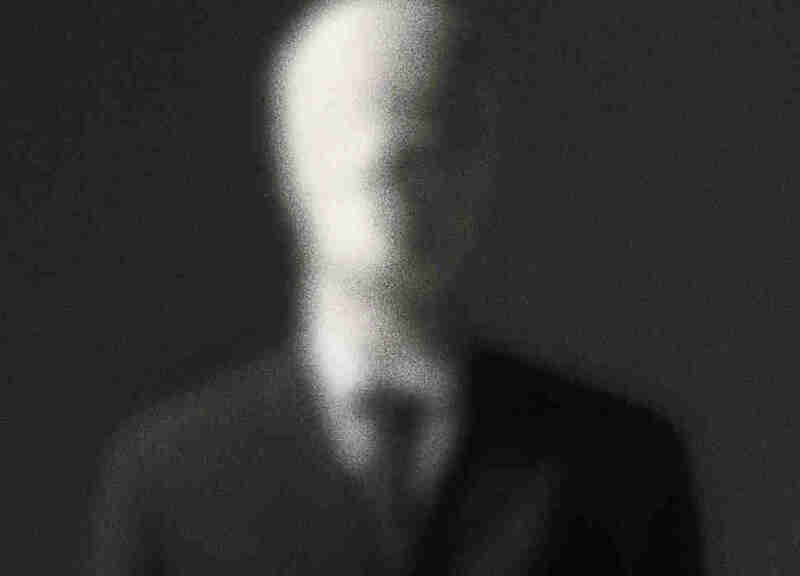 Hollywood continues to feign interest in the subject: HBO's Beware the Slenderman documentary sheds more light on the Wisconsin stabbing incident, while Sony Pictures subsidiary Screen Gems just announced a Slender Man movie, which the company hopes will become a "multi-platform property." The Slender Man crossed over from internet to reality swiftly and violently, and nothing, apparently, can send it back. Dave Gonzales has been a podcaster and pop-culture writer ever since he was lured into the woods in 1986. Haunt him on Twitter @Da7e.